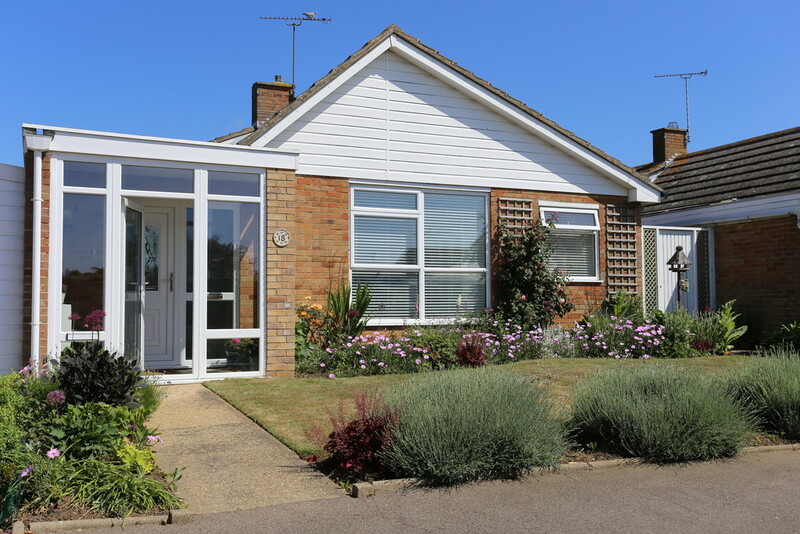 An excellent opportunity to acquire this extremely well presented three bedroom detached bungalow situated in this sought after location in Old Felixstowe, being just a short stroll from the seafront and promenade at 'The Dip'. 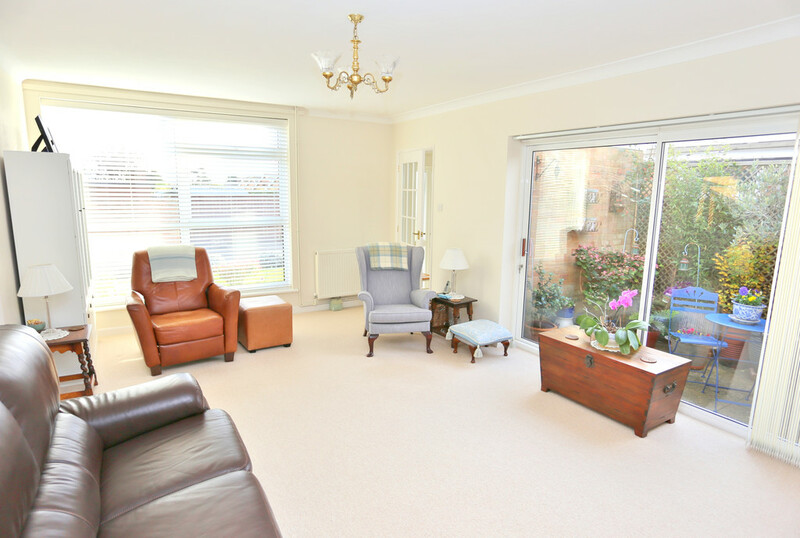 The property is located approximately one and a half miles from the main town centre and features:- Porch canopy, entrance lobby, spacious living room, refitted kitchen with built-in appliances, three bedrooms and a large bathroom. 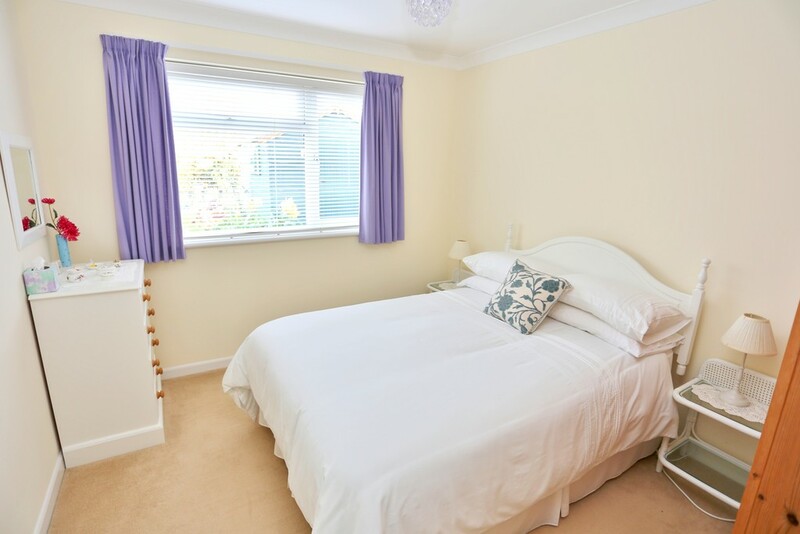 The property features well kept gardens and a garage. 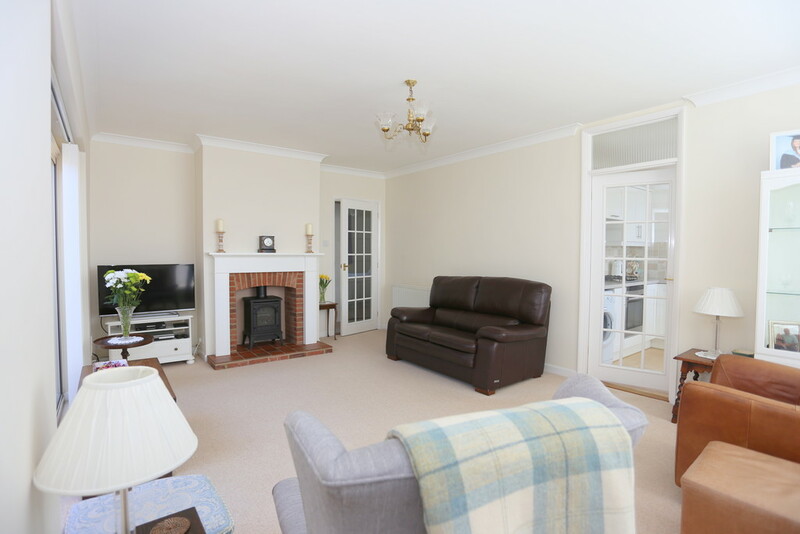 The property benefits from gas fired central heating, UPVC double glazed windows and doors and cavity wall insulation. Viewing is highly recommended by the vendors sole agent Diamond Mills & Co. ENTRANCE PORCH UPVC double glazed entrance door with matching side panels. Security light. Gas meter box. ENTRANCE LOBBY UPVC double glazed entrance door and side panel. Double built-in cloaks cupboard. Circuit breaker. Radiator. LIVING ROOM (SOUTH & WEST) 19' 7" x 12' 6" (5.97m x 3.81m) Feature fireplace surround with remote controlled gas fired stove. Two radiators. Satellite dish connection. Coved ceiling. 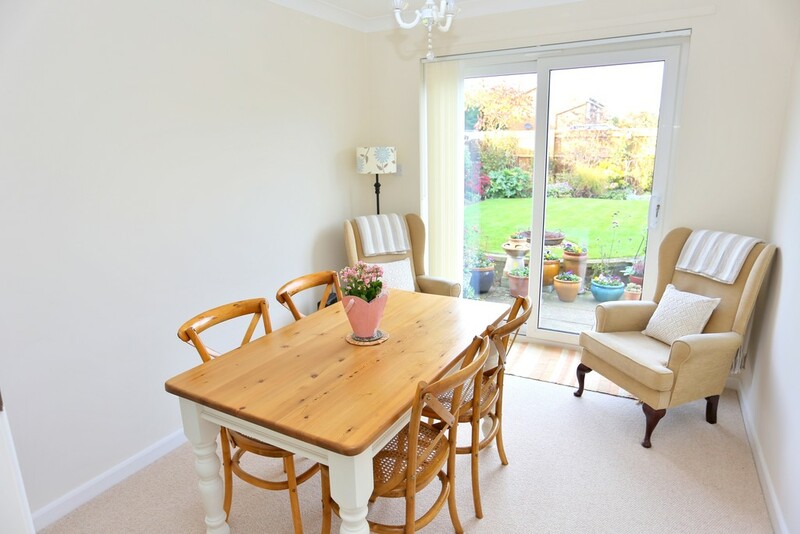 White clad double glazed patio doors with fitted vertical blinds to enclosed courtyard area. 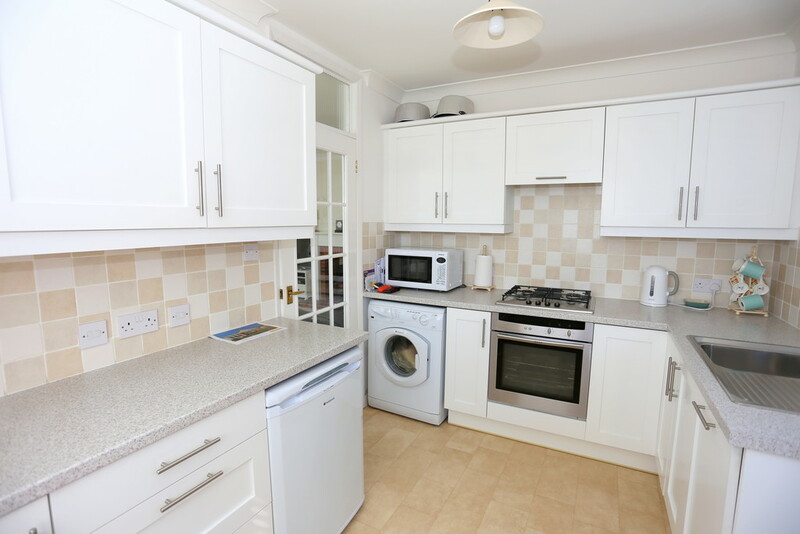 KITCHEN (EAST & SOUTH) 10' 11" x 8' 2" (3.33m x 2.49m) Inset single drainer sink unit with mixer tap with cupboards. Space and plumbing for washing machine and fitted integrated dishwasher. Neff gas hob with matching fan assisted single under oven and grill. Further work top with cupboard and drawers and space for refrigerator. Matching wall units with concealed lighting. Ducted cooker hood. Shelved and ventilated pantry. Tiled splash backs. Vinyl floor covering. UPVC double glazed door to side passageway. INNER HALL Access to insulated loft space. Radiator. Central heating thermostat. Linen cupboard with boiler programmer. BEDROOM 1 (NORTH) 14' 8" x 10' 2" (4.47m x 3.1m) Radiator. Telephone extension. Satellite dish connection. BEDROOM 2 (NORTH) 11' 4" x 9' 10" (3.45m x 3m) Radiator. BEDROOM 3/DINING ROOM (NORTH) 11' 4" x 8' 11" (3.45m x 2.72m) Radiator. 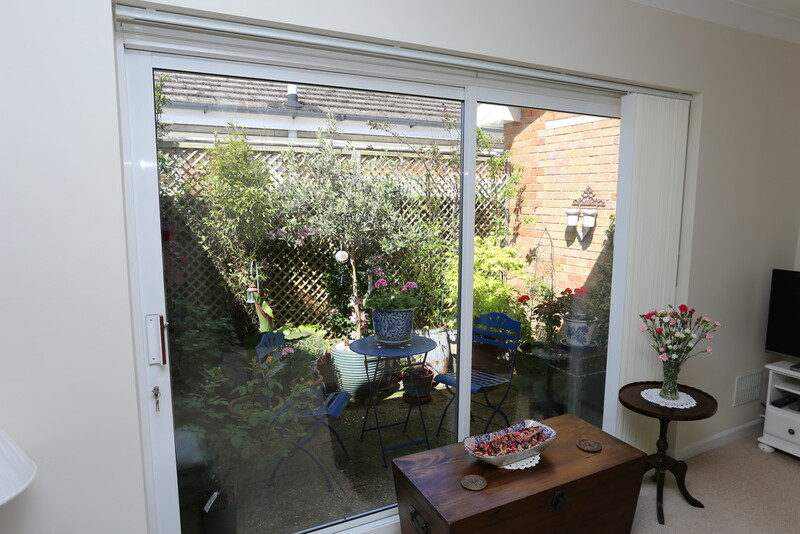 UPVC double glazed patio door to patio and rear garden with fitted vertical blinds. 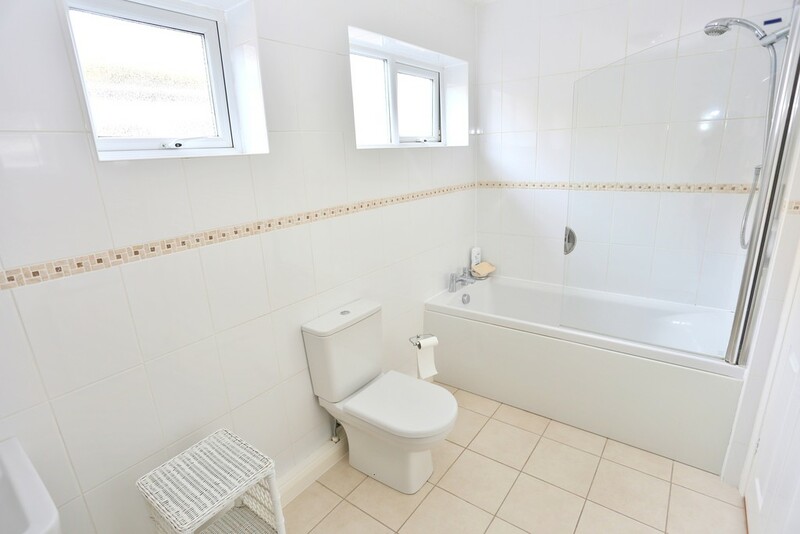 BATHROOM (EAST) 11' 7" x 5' 10" (3.53m x 1.78m) White suite comprising:- Panelled bath with mixer tap. Aqualisa thermostatically controlled shower with shower screen. Pedestal basin with illuminated bathroom mirror above. Close coupled low level WC. Radiator. Medicine cabinet. Tiled floor. Airing cupboard with Ideal wall hung gas fired boiler supplying domestic hot water and central heating. Factory insulated hot water tank and immersion heater. Electric light. 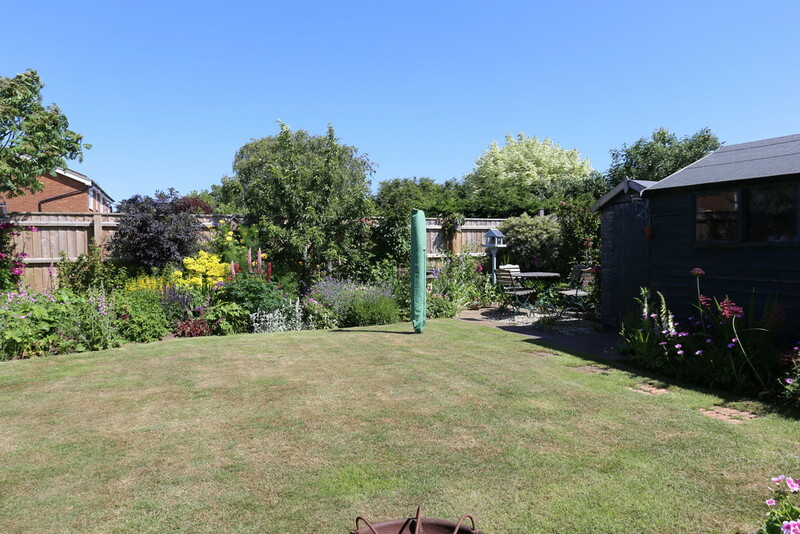 FRONT GARDEN Open plan design, laid to lawn with well stocked herbaceous borders. REAR GARDEN A very attractive and well kept garden approximately 41ft in depth. 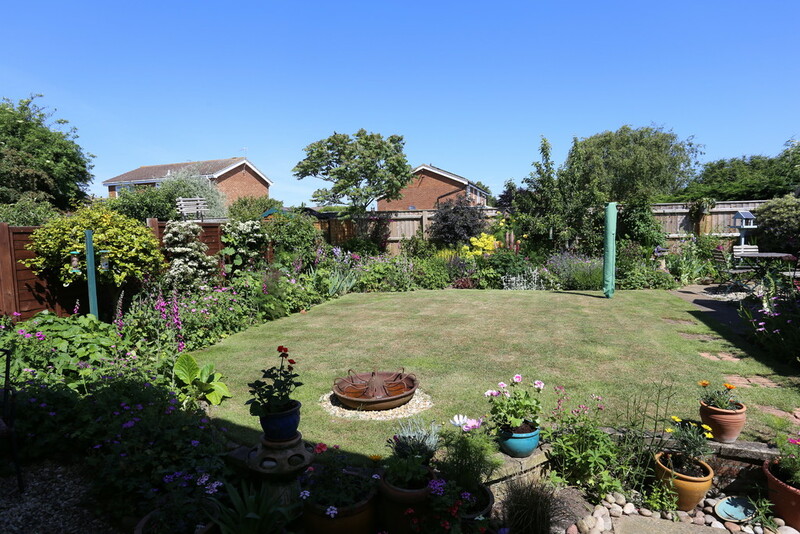 The garden is mainly laid to lawn with well stocked herbaceous borders containing a good variety of flowering shrubs and bushes. Patio garden shed approximately 9'3" x 7'8" with power connected. Outside power point and water tap. Security lighting. Pedestrian side access. GARAGE In block close by, approached from Rydal Avenue - third garage on the right hand side approximately 16'7" x 8' with up and over door.